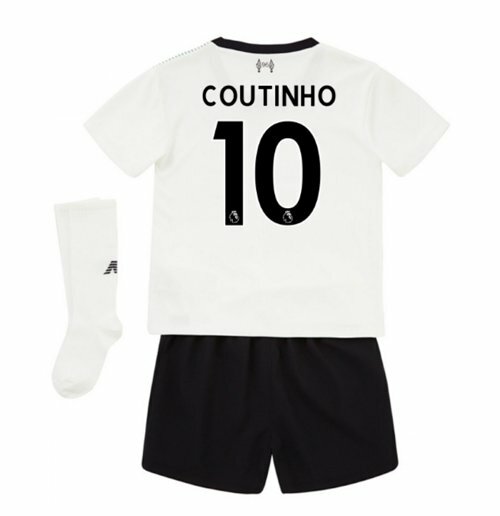 2017-18 Liverpool Away Mini Kit (Coutinho 10). OfficialPhilippe Coutinho footballshirtfor the Liverpool footballteam. This is the new Liverpool away mini kitfor the2017-18 Premier League season which is manufactured by New Balance and is available in mini kit sizes.ThisLiverpoolfootballshirtisgreen and white in colour and comes withPhilippe Coutinhoshirtprintingon the jersey.